Some wheelchairs are built to be basic. But sometimes basic is uncomfortable, and you need a little something extra to support you while you are sitting. Wheelchair backings are there to help offer additional padding to your back while also improving your posture and keeping you in an upright position if possible. The best wheelchair backings are comfortable, offer the right support and can help reduce the chance of developing pressure sores. Here are six of the best wheelchair backings to help protect your back. 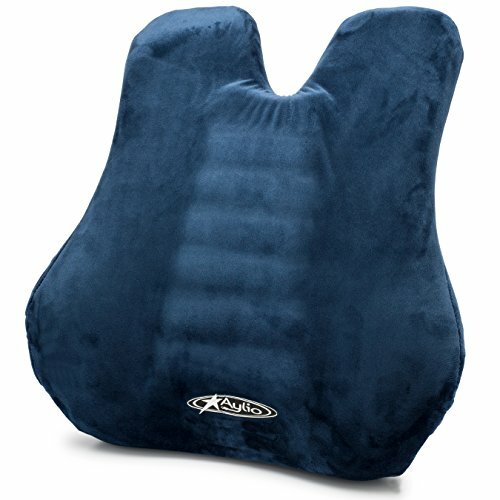 This backing provides the necessary support to help alleviate lower back pain. This support pad is comfortable, and it offers a lot of features. The shape and design is different from traditional back rest supports, so when you rest your back up against it, it forces you into a more natural position. There is also a pad that sticks out right around your lower back that offers the additional support you would not typically receive from a chair. The pad comes with a cover that can be removed and washed, and you also get a free massager with your purchase. 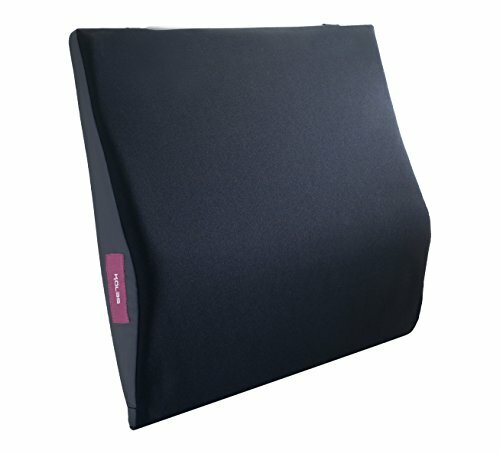 This memory foam backing is comfortable and prevents you from being too cradled by your wheelchair. This memory foam pad is an excellent choice for seniors dealing with lower back pain because their health forces them to sit for most of the day. The backing has a specific design that is meant to relieve pain and offer necessary support to the lumbar region. Wheelchairs have a “cradle” effect on your back because they tend to sink as you sit in them, so they’re not offering support unless you have an excessive amount of padding. Many wheelchairs come without any padding, so a memory foam option offers a significant increase in comfort. The Aylio Cushion is an excellent option for anyone with lower back pain. There is ample support without pressure. This is a great multi-purpose cushion that not only works great for wheelchairs but has a variety of other purposes as well. It’s intended to offer the right amount of support to the lumbar region and is mostly memory foam. This pad is great because it has textured layers, so there is a lot of support when you lean back. It won’t feel like it’s flattened out after long-term use. The length is long enough to support your entire back and your neck. This backing clamps right onto the wheelchair in place of the existing backing. This is a no-fuss method of correcting posture. This is a simple and straightforward backrest intended to correct spinal and postural issues. This backrest mounts your wheelchair, which keeps it from sliding around. It is firm and durable but offers a lot of support. It does require some assembly to attach it to your wheelchair, but it’s a fairly easy installation. This option is meant to correct posture, and it clamps directly onto the wheelchair in place of the existing backing. This backing is a great option if you are trying to correct posture or keep yourself from slipping down the sides of the chair. This backrest has two lateral supports that can swing out of the way if you do not need them. It also comes with a spinal fluid pad to provide additional support and pressure. The main issue with this backing is the assembly is difficult, and the overall design is complicated, which can result in brackets sometimes poking into you if they aren’t situated correctly. This backing helps people who cannot fully support themselves when they are sitting down. This backing is designed to help provide support and stability for seniors with significant health issues that affect balance. The Jay J2 Deep Contour can help you from falling out of the wheelchair while you’re sitting in it. In addition to the regular backing, there are adjustable foam pieces and wedges to compensate for any spinal irregularities and skin issues. The cushion has a standard design that fits into most wheelchair. There are many different kinds of cushions, and some are even meant to prevent the person from falling from side to side. Choosing the right backing does a lot more for the user than helping make the chair more comfortable. It can increase the chances of the person remaining mobile, and improve their overall quality of life. There are many different kinds of cushions, some are intended for comfort and support, while others provide safety measures that will keep you from falling forward or from side to side. There are several features you should consider before buying a backing for your wheelchair. Foam cushions are the most common because they are lightweight and durable over a long period of time. Foam also helps to manipulate your spine improving your posture and contours your body to prevent pressure areas and sores. Foam will wear down over time and it retains heat which could make it difficult for you to stay cool in warm climates or months. The primary advantage of an air cushion is they are easy to clean and maintain. They also do not retain heat or moisture. Air cushions will evenly distribute your weight, helping the cushion or backing to keep its shape as long as you keep it properly inflated. An air cushion can be too firm for some people, because there isn’t much give when you sit down. There are two types of gel backings; liquid and solid. The liquid gel contours to the body and is comfortable to sit on, but because of the liquid nature of the substance, the gel can become too thinly dispersed. When the cushion becomes too flat, this could result in pressure points and ultimately lead to pressure sores. The solid gel moves with the body and does not give way too much, but that can also make it feel hard or stiff. Equally as important as the type of material you choose is the quality of the backing itself. Each one is different, and there are specific characteristics to pay attention to when you are deciding. The most important thing to consider is whether or not the backing is comfortable to sit on and against. If it looks like it offers a good amount of support and covers all the necessary pressure areas, then it might be a good option. Some backings are too firm while others are too soft and wear out quickly. You do not want something that won’t last. If you find a backing you like and it feels good, you want to make sure it will stand by you for a while. One of the most important things to look at when deciding if the backing is durable is if the cover can be removed and washed. You want to be able to clean the cover for hygenic purposes. Taking the cover off will also help you to be able to inspect the interior of the pillow for general wear and tear. What is your intended use for this backing? Is it to alleviate pain? Reduce pressure points? Or just add some comfort? There are plenty of backings out there to choose from, it’s important to find the one that fits your needs. Product reviews may come in handy for this purpose. Experience from real users in similar situations can help you choose wisely. We are firm believers in choosing a product with a warranty whenever possible. If a company offers a warranty on their product that typically means they are confident enough to realize mistakes and errors do happen, but they don’t happen all the time. Some companies will offer free six or 12-month warranties on their products. If you can get a free six or even twelve-month warranty on your backing, consider that product use that as a factor to consider among other options. If you spend a lot of time in a wheelchair or just use it for special purposes, you want to make sure it gives you the support and functionality you need. Wheelchair backings can help increase your comfort, reduce pressure points and alleviate pain. Finding the right one can make all the difference you need in resuming your normal, daily activities.